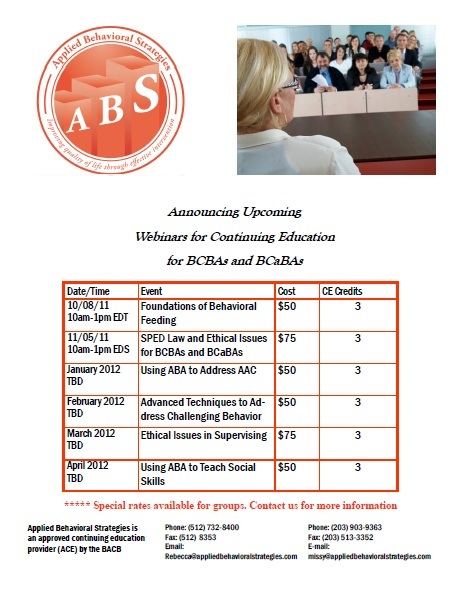 Upcoming Courses for BCBAs and BCABAs! 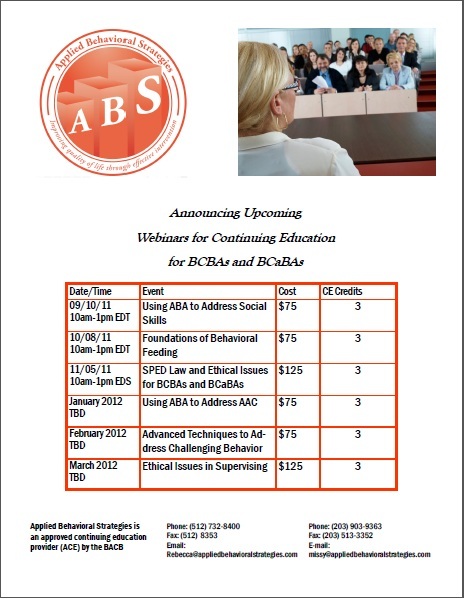 We are excited to announce a schedule of upcoming continuing education for BCBAs and BCABAs! Upcoming Courses – Click here to view the original flyer.